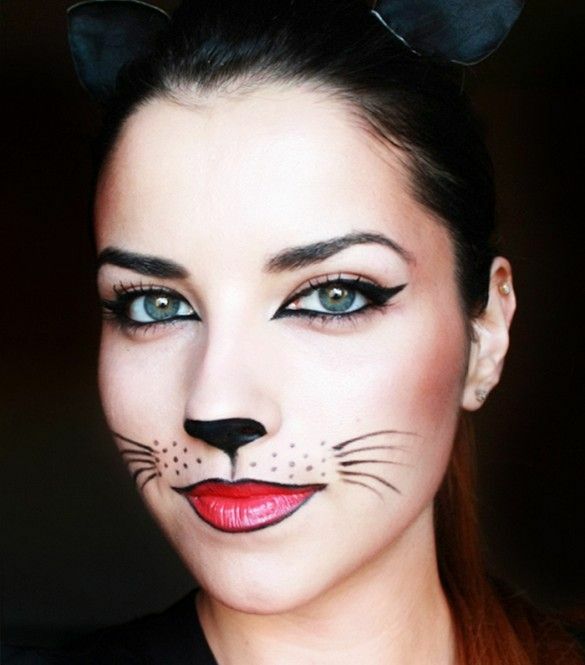 Cat-This is such a cute and easy Halloween go to! It’s perfect for kids and adults alike. All you need is red lipstick, some eye shadow, and black eyeliner. Then add some cute extras if you want them. Don’t forget the ears and tail and you’re all set. Who doesn’t love a kitty cat?! 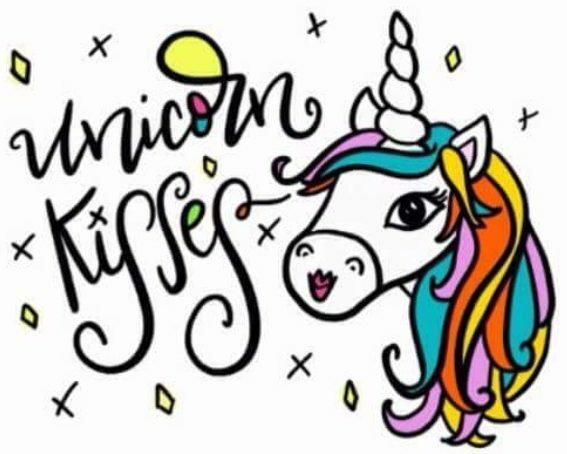 Unicorn-Both cute and fabulous, this is also an amazing option for any age. I’m very partial to this option haha. 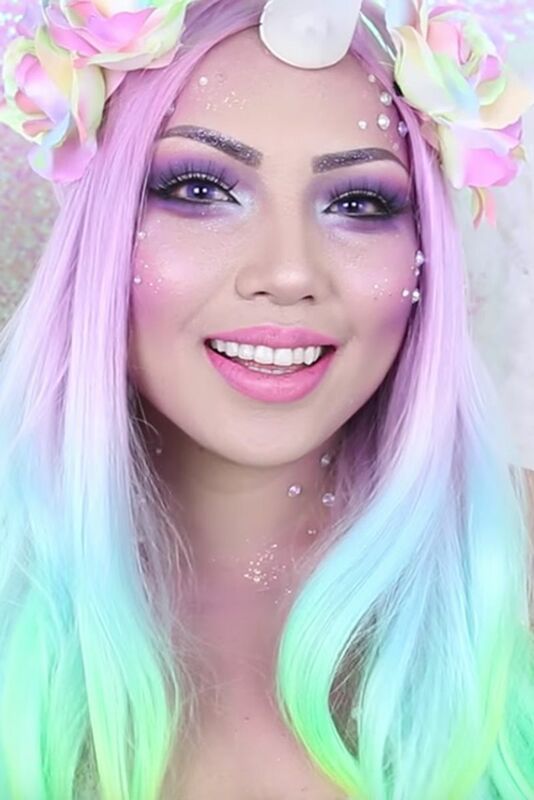 Gather your sparkles, glitter, rhinestones, rainbow or pastel makeup, and BAM….you’re done! Don’t forget your horn! Otherwise, you’re just a sparkly horse. Emoji-You spend your whole life texting, right? Well why not paint your face in honor of your favorite pastime? 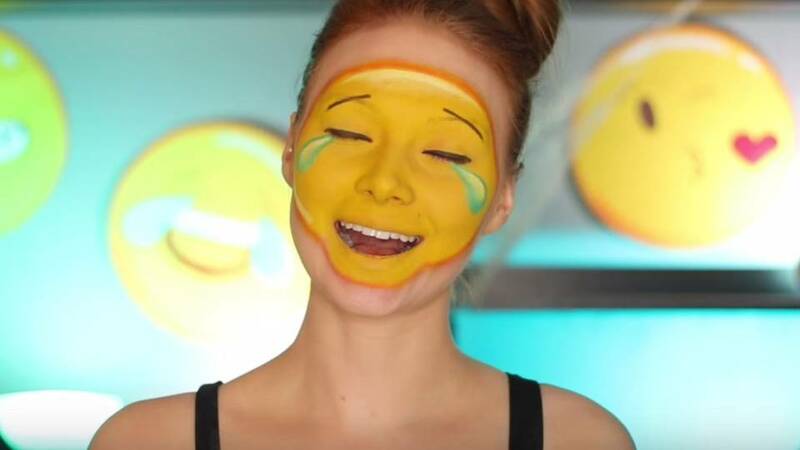 Emoji makeup is not only really cute but also easy peasy to do! For this look, all you’ll need is a yellow face paint, white face paint, black eyeliner, and incorporate some colors (face paint, eyeliner, lipstick, etc) if other colors are involved with the emoji you choose! Mermaid-Splish, splash…let’s be mermaids!! This beautiful look is actually WAY easier than you think it is. Promise! 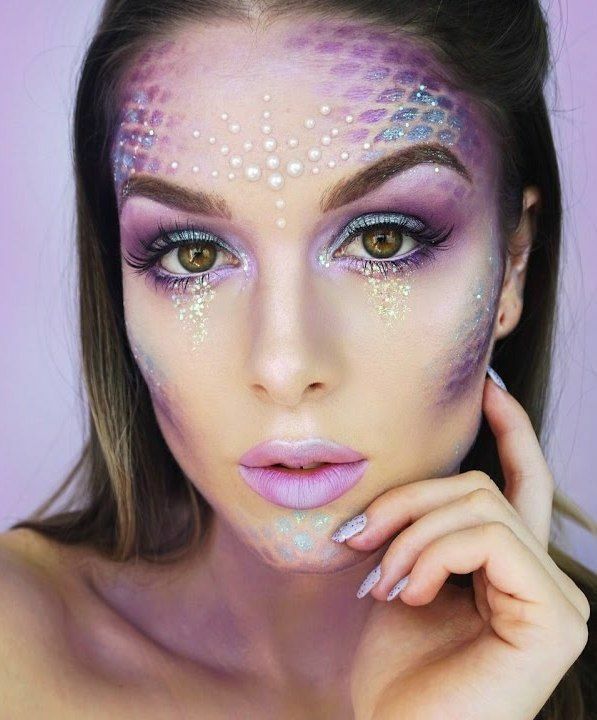 You’ll need fishnet pantyhose, seashells, rhinestones, lots of pretty eye shadows in ocean colors, and glitter. To make the scales, all you have to do it stretch the fishnets over your head and put eye shadow in the holes of it. Use different colors to add dimension to your new scales. Grab your shells and make a headband to top it off. You’re officially ready to sing Disney tunes with your fish friends all night! Shattered Doll-You can also take the opposite route and be a broken doll if you like the doll idea. 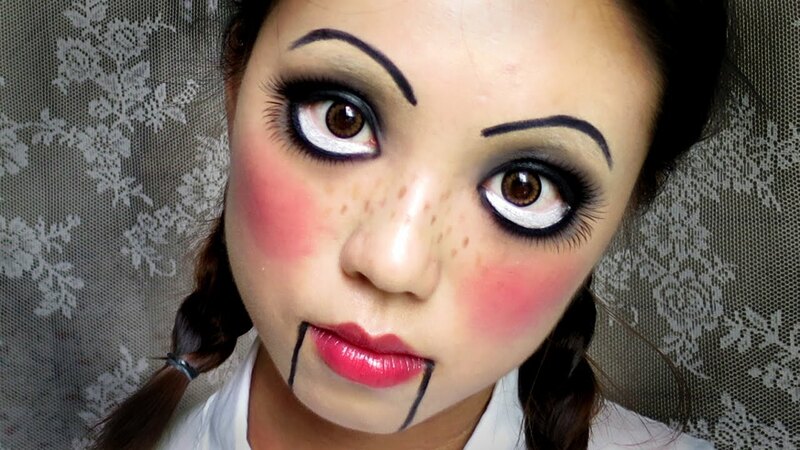 Though equally creepy, this look is very cool to show off. You really only need your normal makeup and black eyeliner. That’s it! The simplicity is wonderful and the art of it is beautiful. Do your cracks anywhere on your face. Get creative and have fun with it! 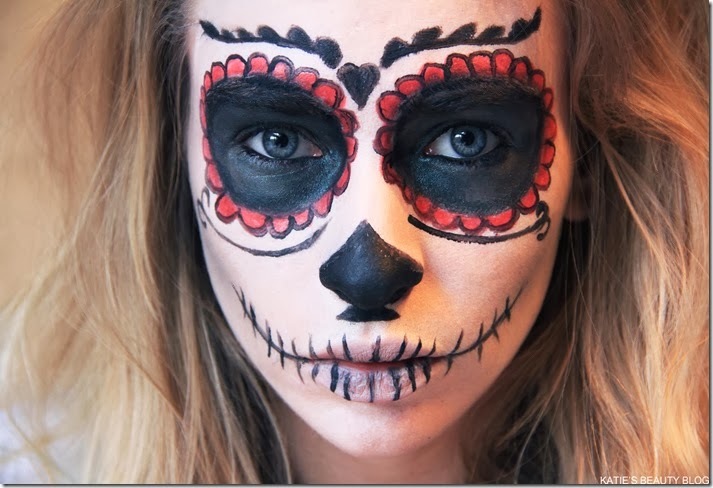 Sugar Skull-This is one of my favorite Halloween makeup looks ever! No matter what you do you really can’t mess it up. Just get creative with lines, colors, designs, etc. The Day of the Dead look is gorgeous! Dress it up or down. Do your whole face or half of your face. The choice is yours and you get to make it your own. There you go, Tribe! Eight gorgeous makeup looks that really require hardly any effort. You can 100% do these looks by yourself or for someone else. These also don’t have a ton of supplies that are needed so you don’t have to spend a million dollars on your Halloween look. Also! Contact me if you all would like a Halloween makeup tutorial on a certain look and I’ll do it! Just let me know.